Who was Sabina Spielrein? What role did she play in the early years of psychoanalytic research and in the development of new ideas and methods for educating children? This brief article summarizes information compiled by a colleague of mine who has declined to append his name to the information presented below. Sabina Nikolayevna Spielrein was born in 1885 in Rostov-on-Don, Russia. She died there in August 1942, at the hands of the Nazis. 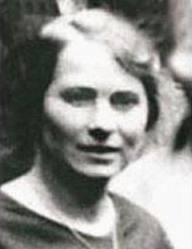 Spielrein, whose surname means “fair play” was 18 years old when she was admitted to Eugen Bleuler’s clinic at Burghölzli Switzerland. There, a young resident physician named Carl Gustav Jung successfully treated her for Hysteria using a method of psychotherapy he had learned from Siegmund Freud. Spielrein stayed on at Burghölzli to become Jung’s laboratory assistant, student, and secret lover. She completed her Ph.D. under Bleuler’s supervision in 1911 and presented her work on Schizophrenia and Fear of Sexual Intimacy to Sigmund Freud’s Psychoanalytic Society in Vienna. When she began her career as a psychoanalyst, one of her first analysands was Jean Piaget with whom she collaborated from 1920-23, writing papers on “Autistic and Symbolic Thought.” She later worked with Isaac Luria and Lev Vygotsky and organized a famous Russian school known as the White School. In 1942, at age 57, Spielrein, together with her two daughters, Renata (twenty-eight) and Eva (eighteen), were herded into the Rostov synagogue and murdered by the Nazis. Her diary was discovered in 1977 and her fascinating story has only recently come to light in the English-speaking world. Kerr, John. (1993) A Most Dangerous Method: The Story of Jung, Freud, and Sabina SpielreinNew York: Alfred A. Knopf. Kress-Rosen, Nicolle. (1993). Trois figures de la passion Paris: Arcanes. Hampton, Christopher. (2009). The Talking Cure, a cinematic screenplay to be made into a feature length motion picture, A Dangerous Method, directed by David Cronenberg, and starring Keira Knightley as Sabina Spielrein and Michael Fassbinder as Carl Jung, to premier in February 2012.